Sundays in Colombia are special to me. The tradition family day of relaxation and enjoyment has existed for centuries but somehow managed to pass me by for most of my adult life. In hospitals, patients need care every single day; on Christmas, on Thanksgiving, the fourth of July and on Sundays.. Usually I am first in line to volunteer to work these days. I know that these days are important for my co-workers with small children and local family, and I don’t mind working during the holidays; the operating rooms are closed – everything slows down, so it’s a chance to spend some extra time with my patients. But here in Colombia, I am a writer first, nurse second – so my schedule is very different. No more Sunday rounds, and bedside visits..
Sundays have become a ‘family day’ for me at this late date. A day to enjoy my surroundings, time with family and friends and to experience the food of Colombia. Today we spent most of the day just outside the city in Parque Arvi. 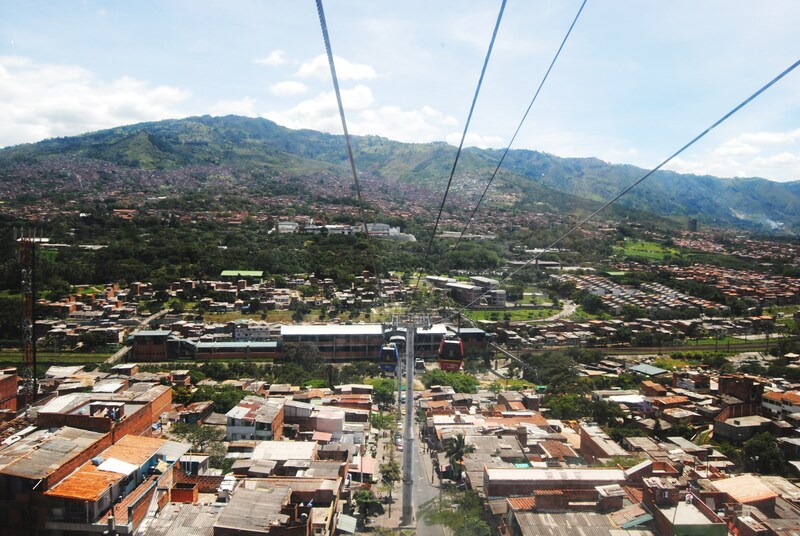 Just the trip to the park is fun – on the metrocable (the city’s tram system) up into the hills of Medellin..
Then another tram ride across the mountains to the park. 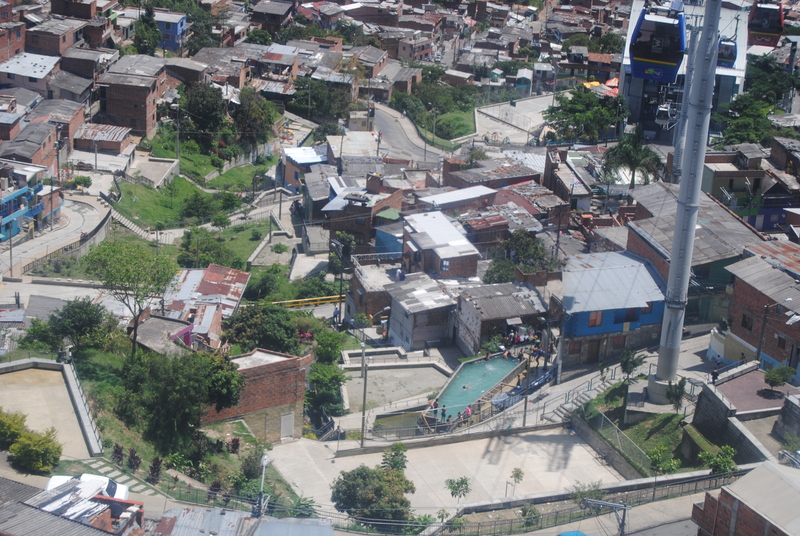 The view is glimpse down at a tiny slice of Medellin life.. 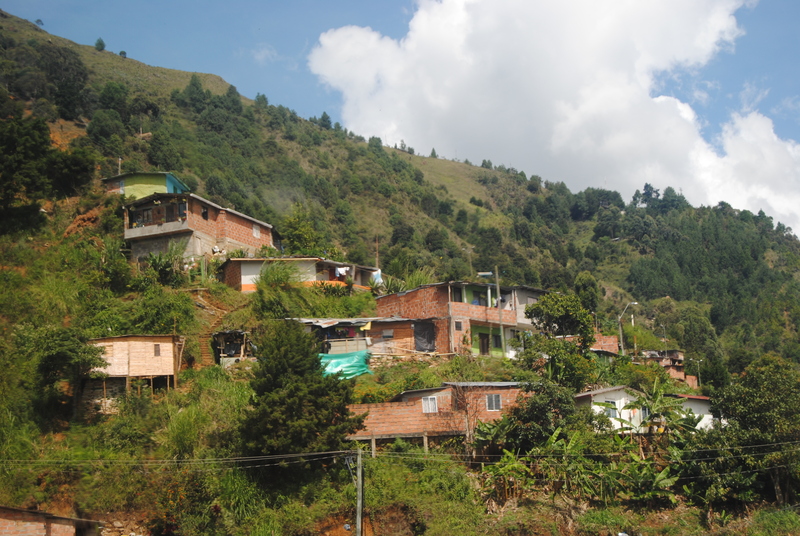 In general, the higher into the hills of Medellin, the poorer the settlements (but not always – some of the nicer estates in Poblado hug the hills on the way to Envigado). But the views of the city itself are spectacular. 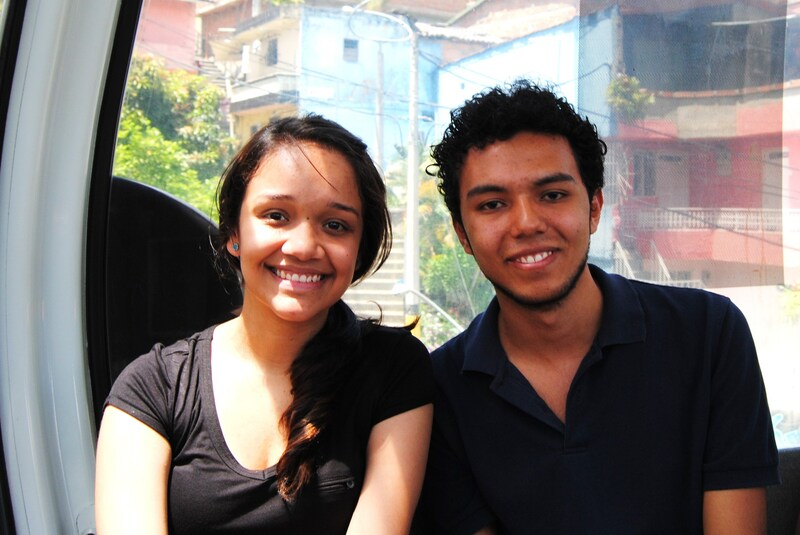 It wasn’t a long ride – just long enough to meet our fellow tram riders (each tram holds eight people) including a newly wed couple from Bogotá.. The park itself is lovely, and the temperature just a wee cooler. Lots of families were out enjoying the park and the numerous restaurants selling regional Colombian cuisine. 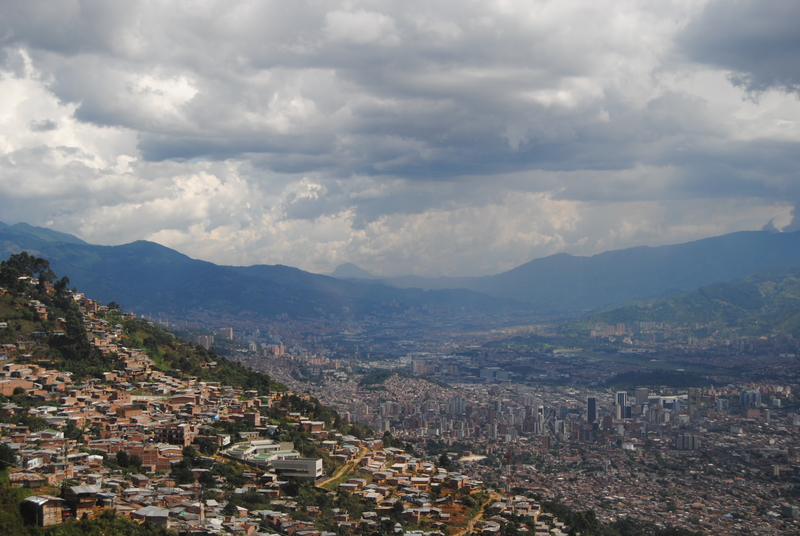 The trip is one of the most popular tourist activities for visitors to Medellin – and I am glad I finally took the time to see for myself. This entry was posted in Cuisine & Culture, Medellin and tagged city of Medellin, Festival de Gastronomia, MetroCable in Medellin, visiting Parque Arvi, Weekends in Medellin. Bookmark the permalink.